The Rev. David Crosby, a former member of St. Dysfunction and author of the infamous “Bobby Malm, You’re Amazing!” blog post has signed up for first-class cabins on the SS Sycophant. In his new role, David will serve as interim assistant to Dysfunctional Bob Malm. - Breaching confidentiality in a Title IV case, resulting in (a limited) response from the Virginia bishops. - Including Mike in his vendetta. - Repeatedly and verifiably lying in court. 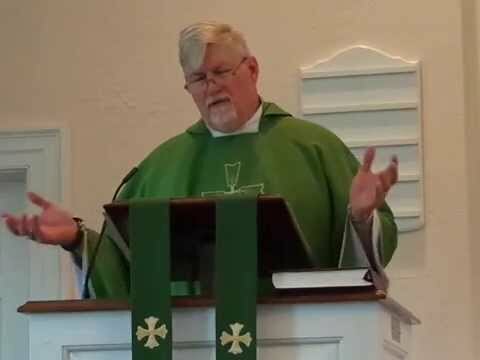 - Retaliating for filing a Title IV complaint by instructing church staff to exclude Mike and me from all aspects of parish life—an action he later confirmed, in front of the Bishop of Virginia and the Canon to the Ordinary, was done as an act of retaliation. - Attempting to drag a dying woman into court in violation of the law. - His facially dishonest effort to get a protective order by taking words out of context, etc. So no, David, there are not two sides to every story, and under the canons, you are not privy to the details of Title IV matters, so you either have no idea what you are talking about, or Bob has improperly discussed the matter with you in violation of the canons. And just in case no one else has clued you in, retaliating against someone for complaining about possible gender-based workplace harassment and questionable financial practices is wrong, both in church and in the private sector. It is illegal in the latter. It is always and everywhere unethical for Bob to drag innocent family members into his vendetta, just as would be the case were Bob to engage in child abuse. No exceptions, no excuses, no explanations. And David, if you think Jesus would try to drag a dying woman into court, you are an asshat of the first order, and you should have done all involved a favor and saved your money, versus going to seminary. There are some behaviors that are flat-out wrong, particularly by clergy, who allegedly are held to a higher standard. Period.